Hello, friends! I hope your week is off to a great start! 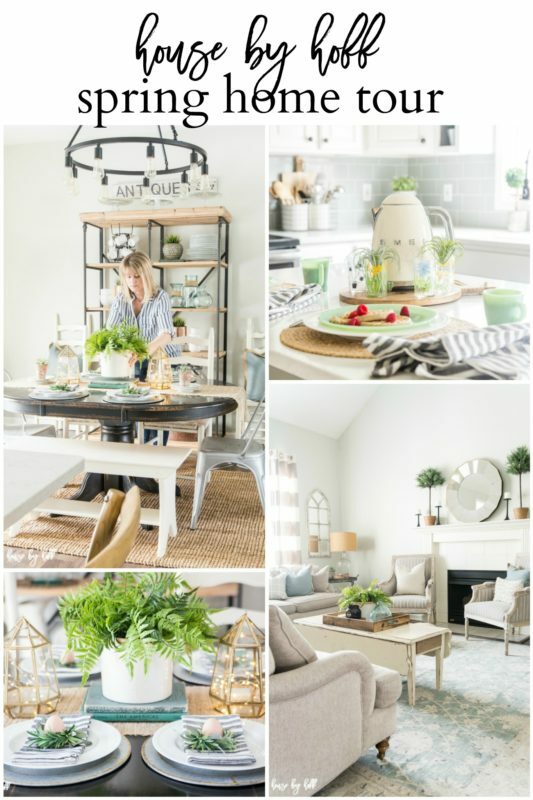 Over the course of the last few weeks, I’ve been sharing different rooms in my house all decorated for spring. 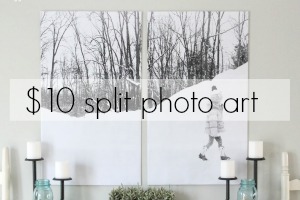 Today I’m excited to put all the photos of all the rooms together for a comprehensive House by Hoff Spring Home Tour! 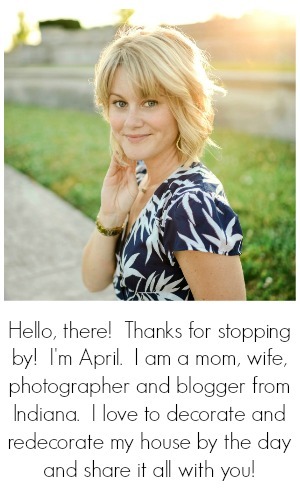 I’m joining a group of really fabulous bloggers in a Spring Home Tour blog hop hosted by Marty from A Stroll Thru Life. 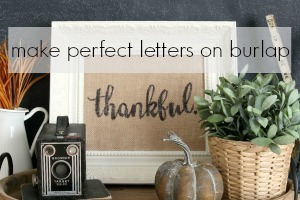 If you are stopping by from Laura’s blog, Decor to Adore, welcome! I’m so glad you are here! Laura always elegant style and attention to detail always leave me in awe! We’ll begin my spring home tour in the living room. 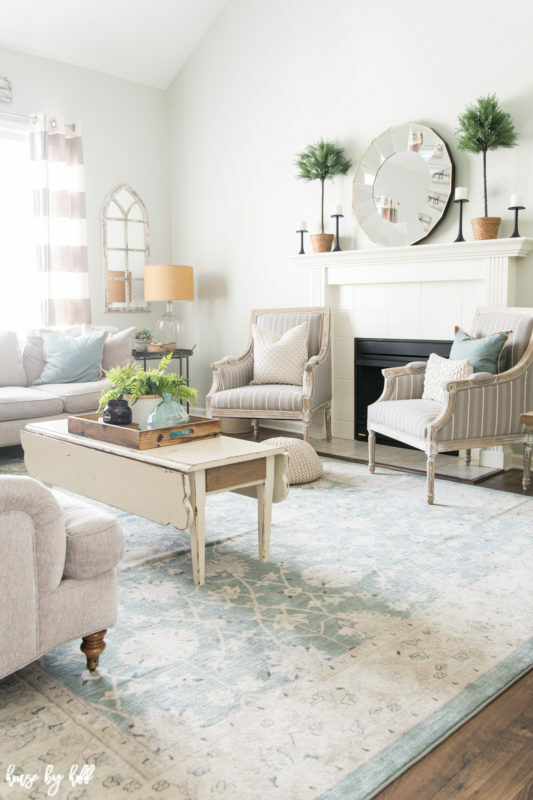 I recently replaced the old rug with this blue Persian Vintage Rug, and I am so in love with it! I know I write a decorating blog, and decorate spaces all the time…but the power of a new rug never ceases to amaze me. 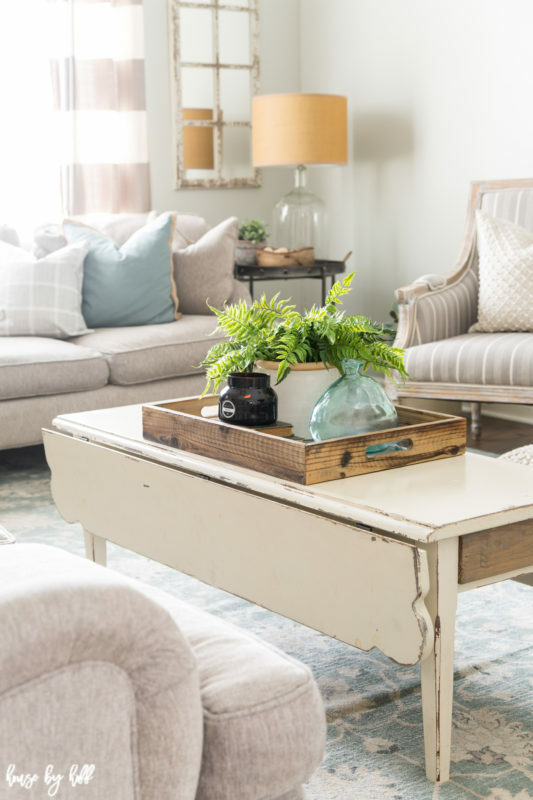 It’s completely transformed the feel of this space, and I really love it’s soft blues and neutral grays and creams. 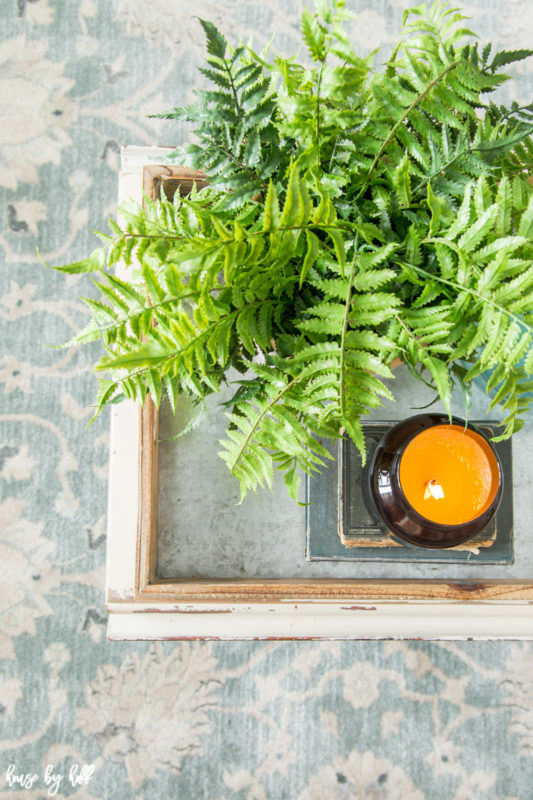 This potted fern on my coffee table brings the green spring vibe to our living room. …as do alllll the other faux plants I have in here…ha! Let’s move along to the eating area, shall we? 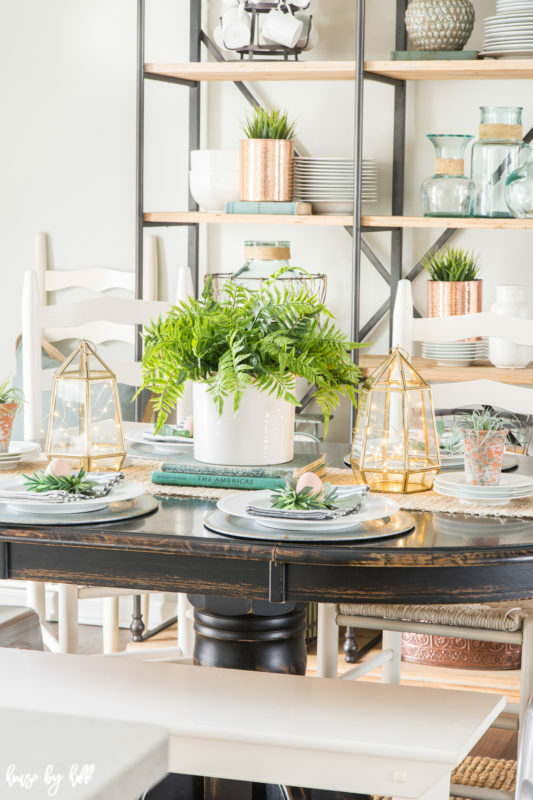 I love to create tablescapes for the seasons, and coming up with this tabletop arrangement was really fun for me. 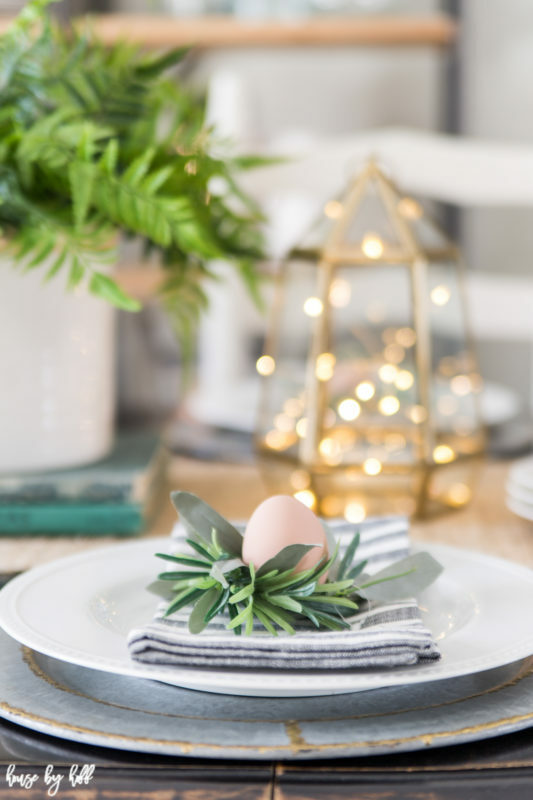 Each place setting gets it’s own little faux egg nested in a leafy napkin ring. (Both the egg and napkin ring are from Hob Lob). 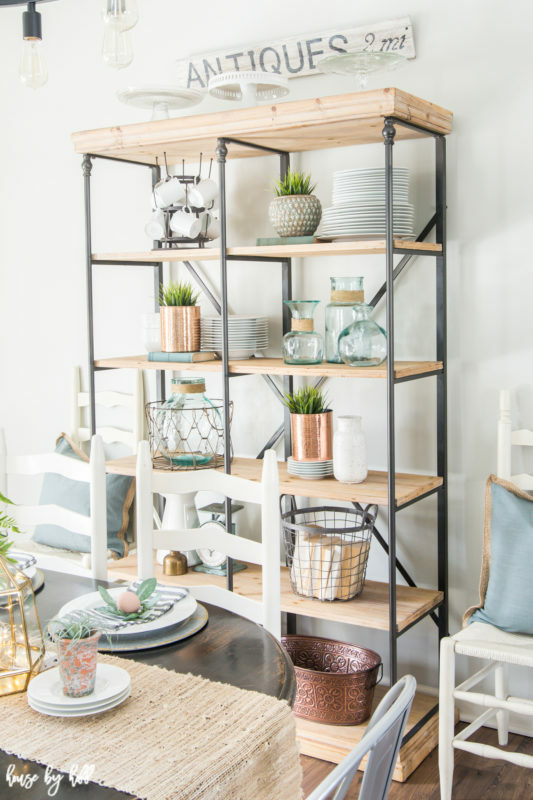 I added some some faux potted grass to a few copper canisters on my open shelving to bring the make the shelves feel equally as springy. 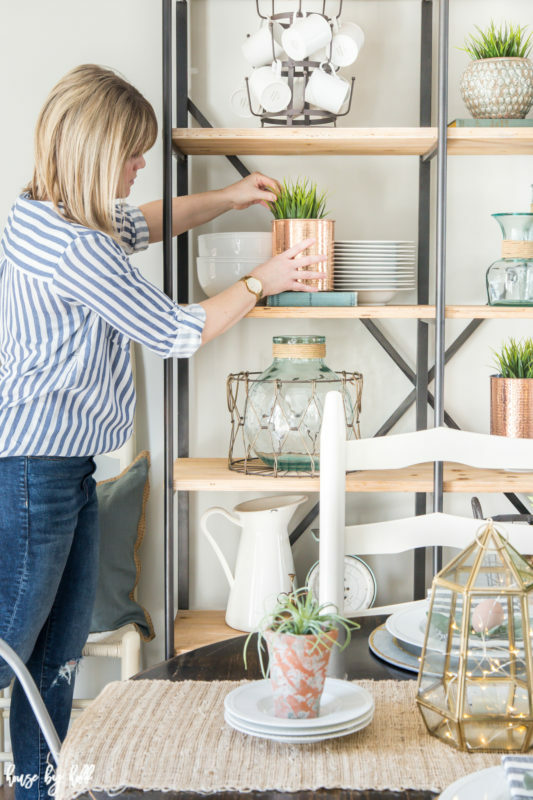 These open shelves are my favorite place to arrange all of my favorite decorations. 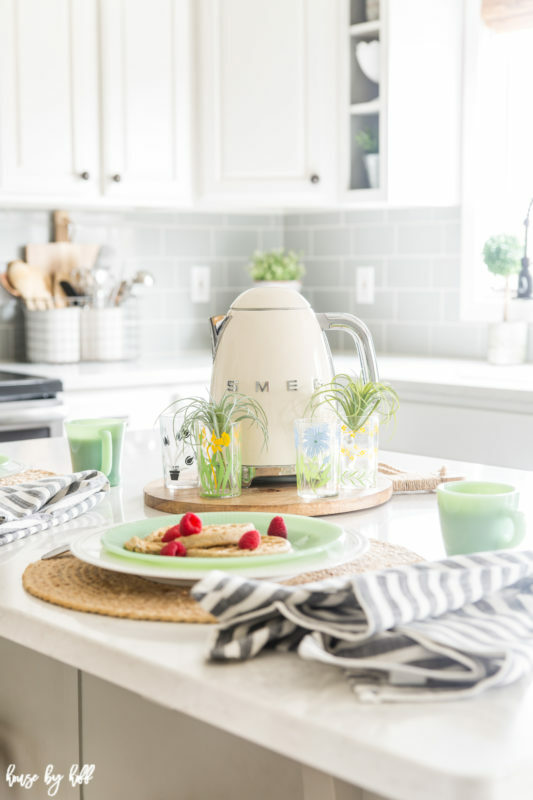 I forced myself to get creative this year to produce a spring-ified kitchen that was different than anything I’ve done before. I settled on a vintage brunch theme, and pulled out my favorite vintage pieces. I thought that the jadeite plates and coffee cups were the perfect shade for spring. Over the years, I’ve been collecting pieces of jadeite from antique stores. It’s so hard to come by these days! 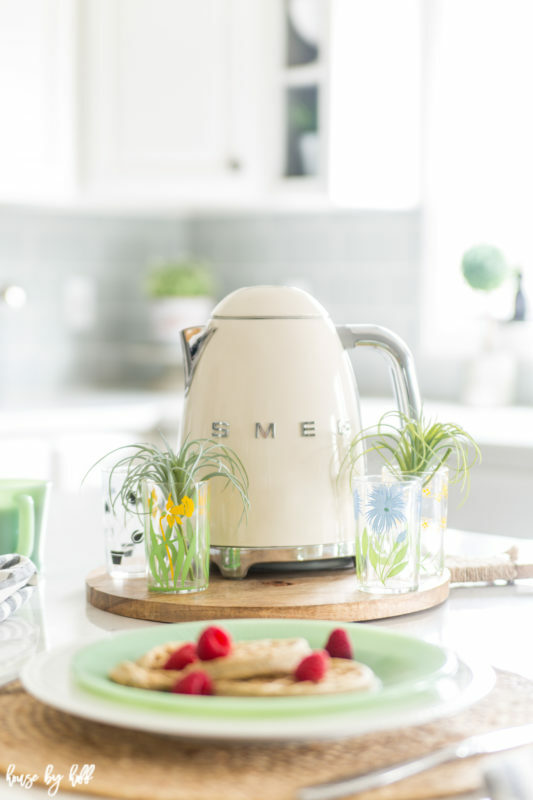 …and my sweet Smeg Kettle had to be front and center. I love this thing! The little floral glasses are “swanky swigs” that my grandpa used to collect. He had probably over 30 of these tiny glasses in my grandparent’s basement. I love to pull them out and showcase them when I can. Thank you so much for stopping by! I’m so glad you came! Please find the sources for my home below. The next stop on the tour is ZDesign At Home. 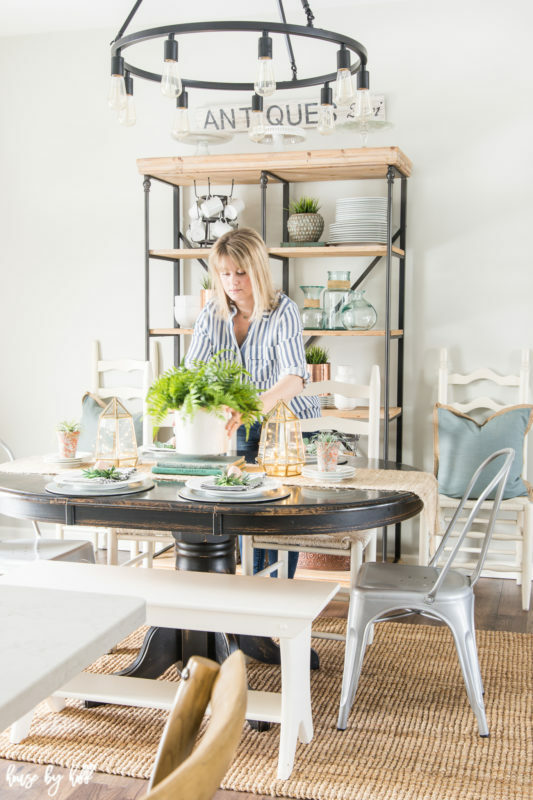 You will absolutely Love Bree’s stunning home and beautiful style! As I mentioned at the beginning of the post, I’m part of a week-long spring home tour lineup! See the entire week’s schedule below, and be sure to check them all out! Beautiful! Looks so fresh and cheerful. Ready for Spring! April your springtime touches are perfection! I would love to have a Smeg toaster. So happy to be sharing this tour with you. Love touring your home!! 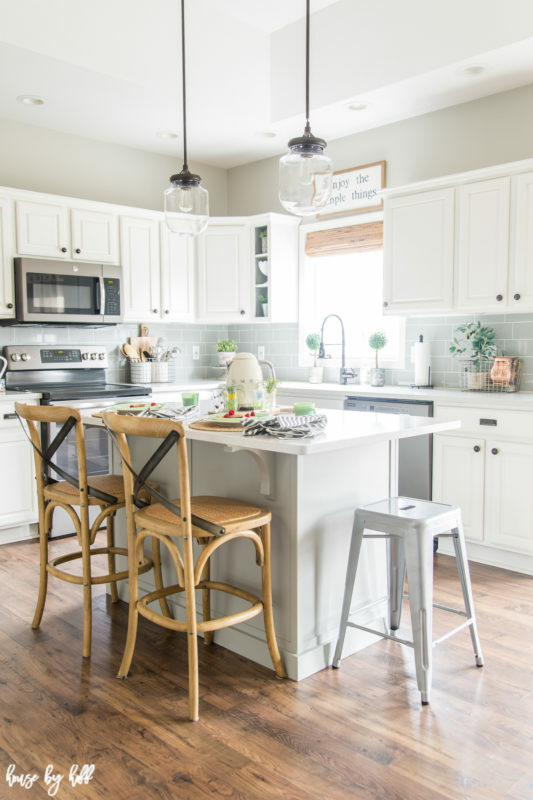 Your kitchen is simply beautiful. Love the vintage pieces you used there. The Jadeite and your grandpa’s floral glasses are gorgeous! April, I just love the look of Jadeite serving ware. it’s so beautiful and delicate. How fun to bring out old pieces that have some personal history and meaning. enjoy the spring season! 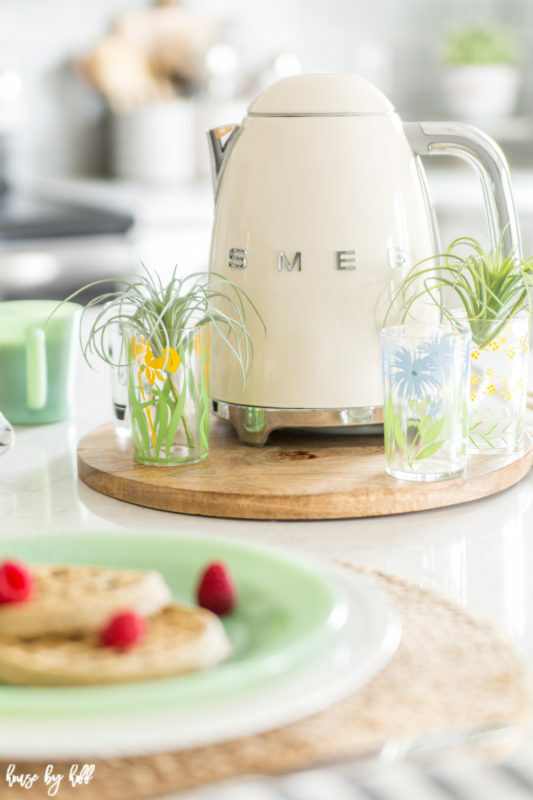 Jadeite and a Smeg kettle? That’s almost too much awesome for one brunch set up! Everything looks lovely; I always enjoy your tour, April! Very pretty spring touches April! The new rug is amazing! So happy to tour with you again. Happy spring! 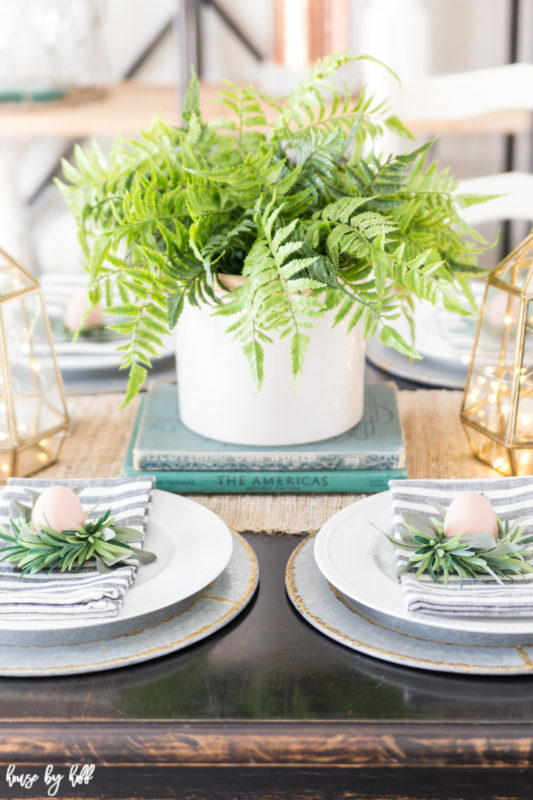 I love all the greenery and the idea of the eggs in the napkin rings is so cute! Everything looks so pretty! I collect little vintage juice glasses and I like your grandpa’s name for them!! 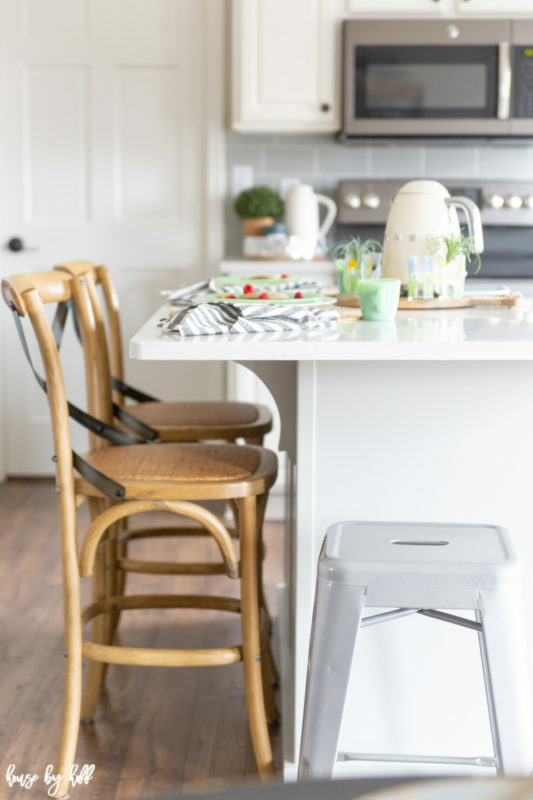 Your home is just so light and airy! LOVE! 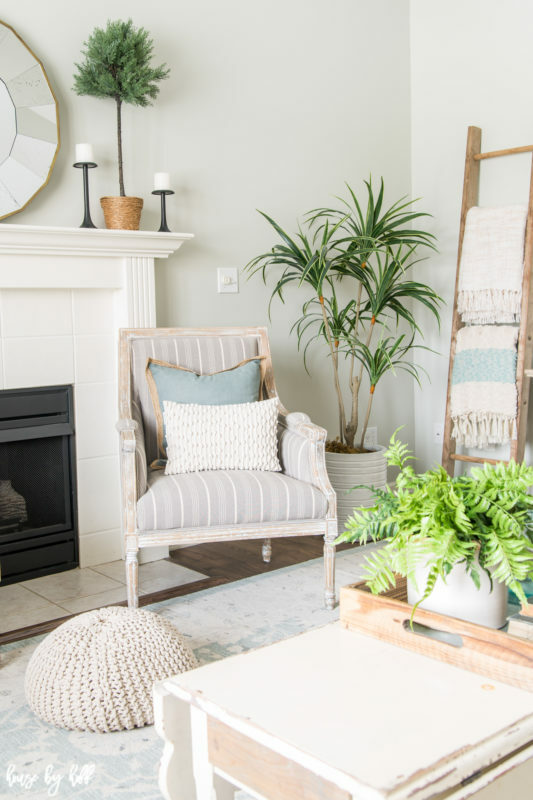 Yes, a rug can make a huge difference! Beautiful choice for your family room.